Traditional Chinese Acupuncture is an elegant therapy that stimulates your body to use its own power to heal. This can offer relief from symptoms, strength to fight disease and, in its best light, provide the tools to stay healthy, age gracefully and become a more relaxed, more energetic you! According to traditional East Asian medicine our health is dependant on the free flow of the body’s motivating energy- known as Qi (“chee”) in China, Ki in Japan, Prana in the Indian subcontinent – moving in a smooth and balanced way through a series of channels beneath the skin. When the Qi flows freely, the body is in a healthy state. If the Qi becomes unbalanced disharmony and illness may result. Each of the channels have a specific effect on a part of the body. At the same time they are like a modern road system linked to each other. By inserting fine needles into these channels choosing points individual to each patient and treatment acupuncture stimulates the body’s own healing response to help restore its own balance. 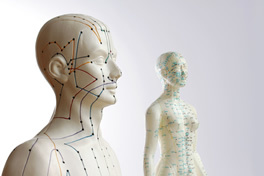 There are many theoretical models in existence offering explanations for the effects of acupuncture treatment. Recent research has shown that acupuncture raises the levels of specific hormones, prostaglandines, white blood cells, “gamma globulins” and antibodies generally. Acupuncture also stimulates the brain to produce endorphines, the body’s own opiates. These chemicals are natural pain killers and make you feel good. In many East Asian countries acupuncture has been used to treat almost the entire spectrum of illness – physical and psychological, acute and chronic. In 2003 the World Health Organisation (WHO) published a report that provides a review and analysis of controlled clinical trials of acupuncture therapy. They recognise over one hundred conditions that may be helped by acupuncture. These range from musculo-sceletal or joint problems to IBS, headaches, gynaecological problems, infertility, high blood pressure, asthma, depression or anxiety to name only a few. The full list of treatable conditions can be viewed on their official website, World Health Organisation. Acupuncture works well alongside conventional medicine. You don’t have to be ill to benefit from treatment – traditionally, acupuncture has been used to diagnose disharmonies in the body before they manifest as symptoms. Thus, many people will benefit from preventative treatment to maintain their health and boost their energy to prevent future illness, leaving them feel even better! 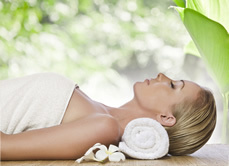 – What can I expect when I book a treatment? In the first session which lasts for one hour and a half I will assess your general state of health in order to make a full diagnosis. This will determine your individual treatment strategy. You will be asked about your current symptoms, your medical history, diet, digestive system, sleeping patterns and emotional state. The physical examination consists of palpation of areas of concern, followed by a pulse and tongue diagnosis. The following sessions will last in average for 60 minutes. I usually will ask to see you at weekly intervals which can be spread out as you improve. – How do I prepare myself for treatment? Whilst it is recommended not to eat a large meal before acupuncture treatment, it is advisable not to arrive with an empty stomach either. You will be treated either seated on a comfortable chair or lying down on a couch. It is best to be wearing comfortable stretchy clothing and appropriate underwear taking into account that treatment may involve you having to remove items of clothing. – What do the needles feel like? Will it hurt? Acupuncture needles are different to needles experienced in a conventional surgery: they are hair fine with a point configuration and solid as opposed to hollow. Their insertion happens swiftly and is usually pain free. Patients commonly report a brief “weird” dull sensation or a tingling feeling which is often followed by deep relaxation. There may also be a stronger sensation when needles come into contact with the Qi, that lasts for a second or two. This is called Deqi and indicates that your own body’s energy is responding. Needles are either retained for some time or inserted and immediately withdrawn depending on the wanted effect of treatment. Acupuncture has a very sound track record and is remarkably safe. All needles used are single use, sterile and disposable. Unwanted side-effects are very rare indeed. As a member of the British Acupuncture Council I am observing stringent standards of hygiene and safe practice. In special cases or in chronic disease when regular treatment is key we might be able to offer concessions, please speak to Franka. – Do I need to inform my GP? Acupuncture works very well alongside conventional medicine. There is no need to inform your GP, but you might wish to let him/her know at your next visit. – Should I stop my conventional medication for acupuncture to work? You should never come off your prescribed medication unless under supervision of your GP. – How many sessions will I need? Every person and their body is different, but with 4-6 weekly treatments, you should see steady improvements in your health. Many patients look forward to their periodical or seasonal top-up treatment. As a rule of thumb, the longer and more chronic a condition, the longer it might take to shift it. – Can I have acupuncture during pregnancy? Yes absolutely. There is no risk to the unborn child, in the contrary – Acupuncture will enhance the mother’s well being and therefore benefit the unborn. Many common problems in pregnancy, such as morning sickness, back ache can be alleviated by treatment. Breech positions if treated from around week 34 can be successfully turned in many cases. Please refer to the BAcC website for clinical evidence.